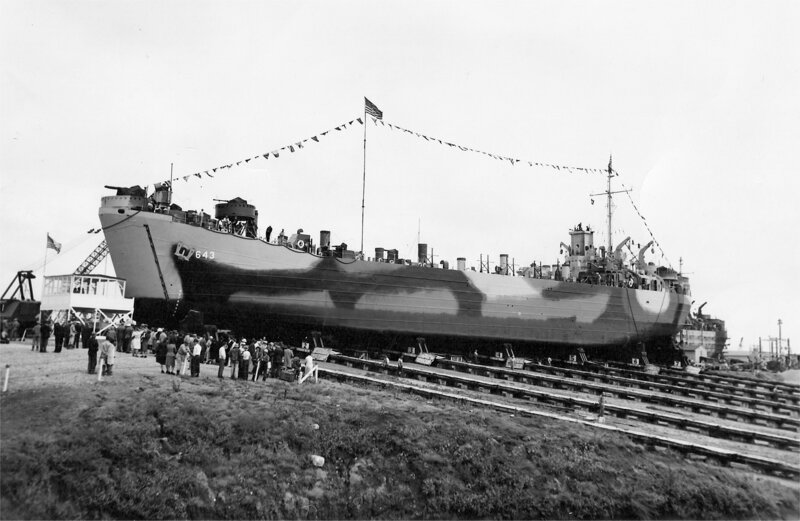 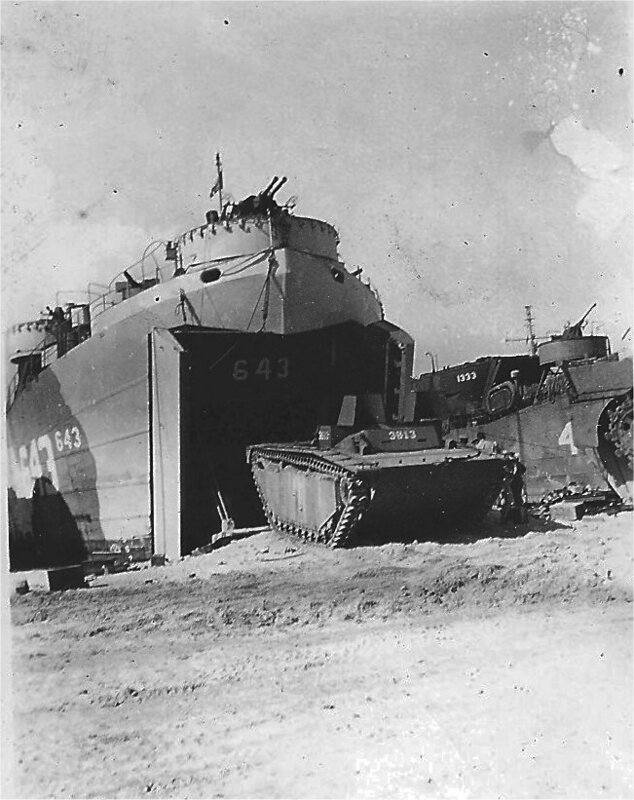 Laid down, 10 June 1944, at Chicago Bridge and Iron Co., Seneca, IL. 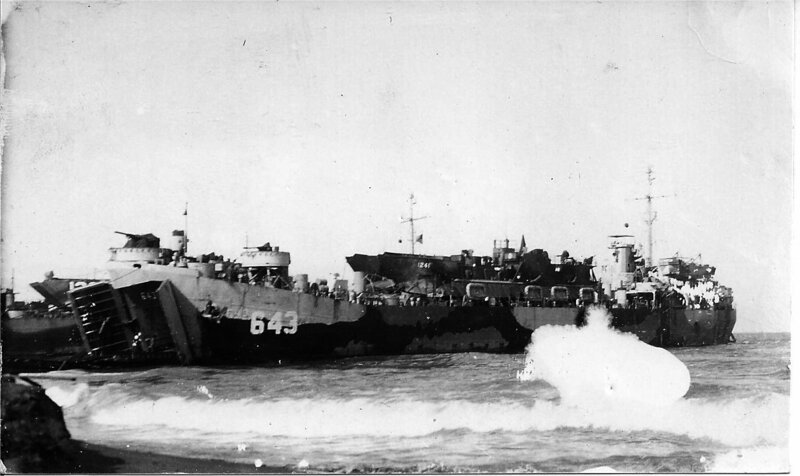 91k USS LST-643 and USS LST-759 approaching USS ABSD-6 at Guam, 29 May 1945. 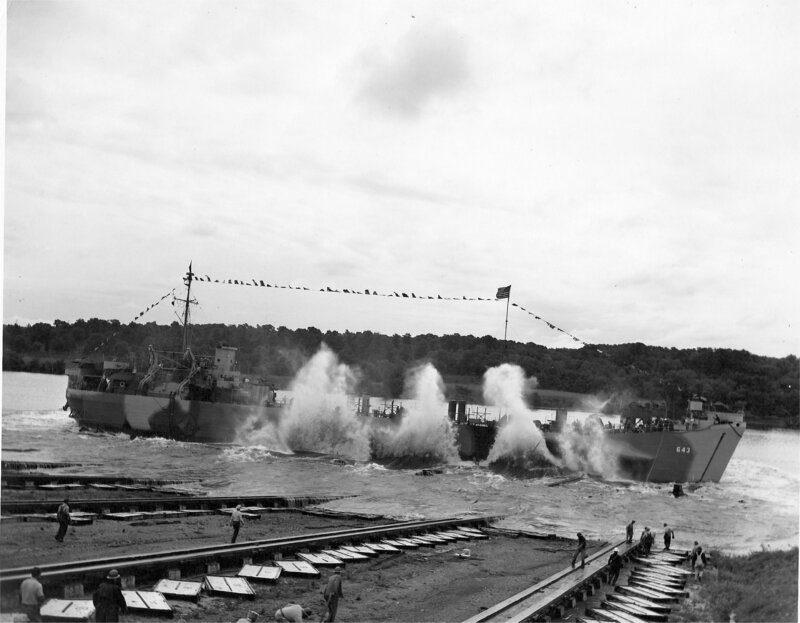 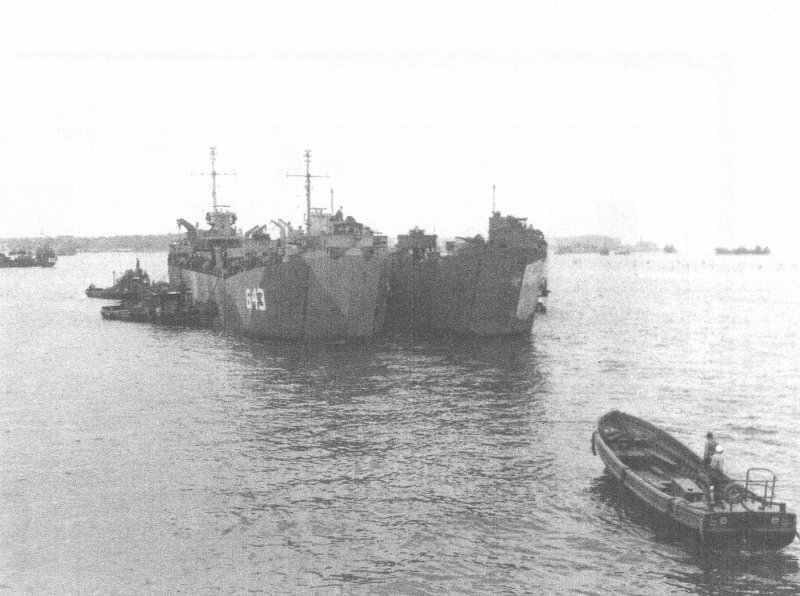 98k USS LST-643 and USS LST-759 entering USS ABSD-6 at Guam, 29 May 1945. 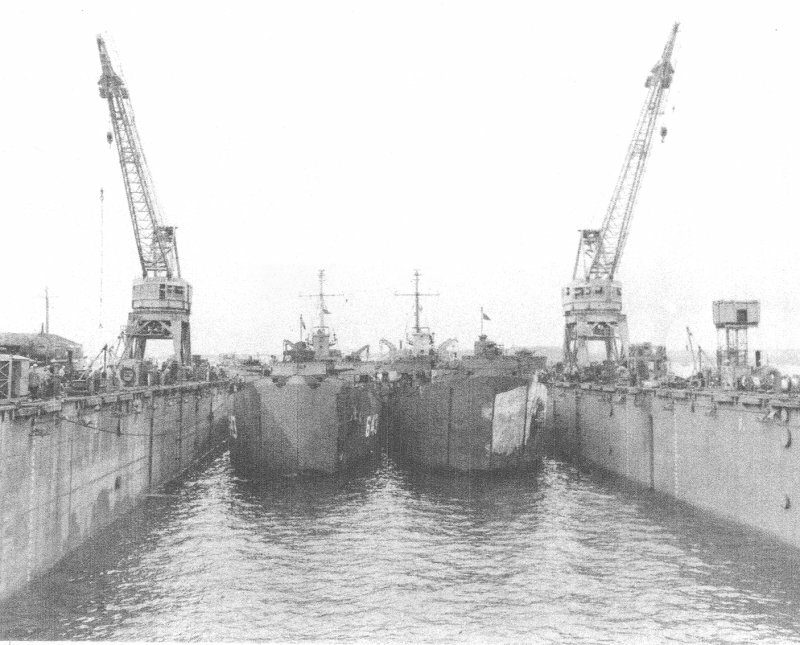 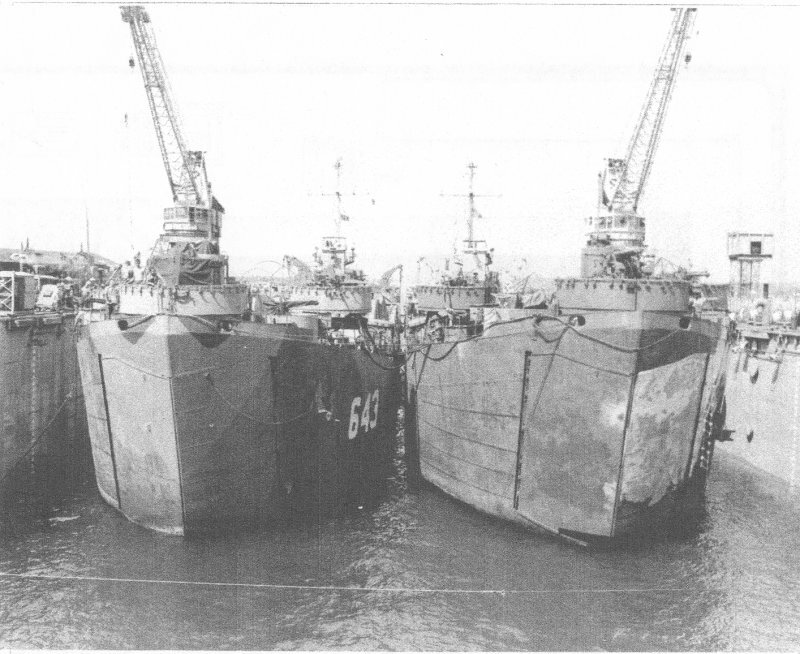 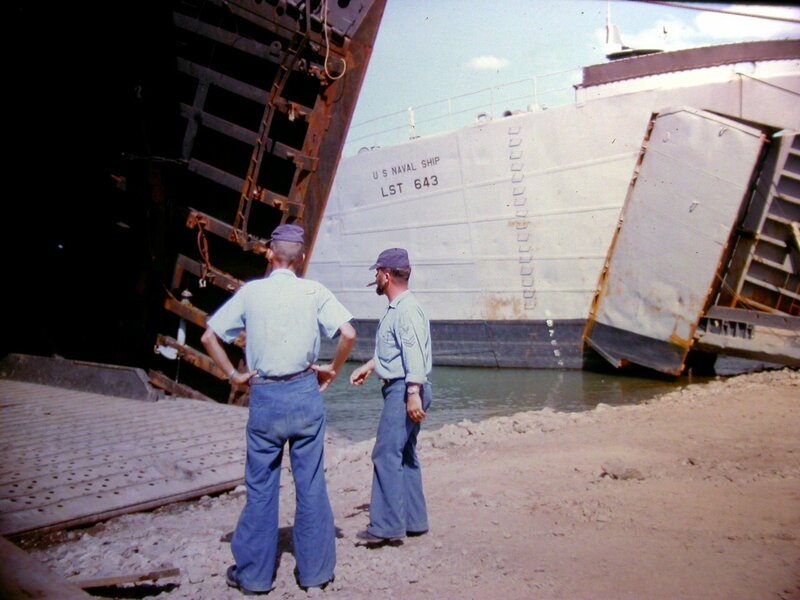 112k USS LST-643 and USS LST-759 in the forward end of USS ABSD-6 at Guam, 29 May 1945.